Whether it’s a bachelorette party, birthday celebration, or just a good old girl’s night out, there are so many things you can do. Here are some great ideas and ways to make your night special, whatever your budget or tastes. Heading to the theatre is a cool and sophisticated way to spend an evening with your friends. There’s a huge range of different shows available all over the country, so whether you’re looking for a comedy, musical, or drama, you’re bound to find something. 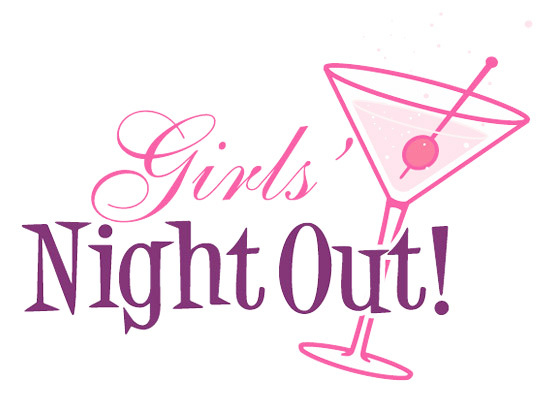 If you’re looking for something a little more risqué, click for more great girls night out ideas. Why not learn something new? We often don’t appreciate learning as much as we should when we’re young and the opportunity is everywhere. So why not sign yourself and your girlfriends up for a class, or a course? You could learn almost anything. Some great, fun ideas include learning a language, a cooking course, photography, or comedy classes. Time with your friends doesn’t have to include dressing up and drinking. It doesn’t even need to be at night time. Why not go for an adventure? Orienteering can be really good fun, especially if you live in a rural area. Other activities you could try include race car driving, bungee jumping, go karting, paint balling, or zorbing. You can either finish the day off in a bar if you fancy. Go for the classic girl’s night out. Get dressed up, put your make up on, and head out to a night club. To make the evening extra special, book a VIP room and a limo to get you there. If you’ve got a lot of catching up to do, going for a meal gives you a good chance to chat. Head to your favorite restaurant or try somewhere new. Spend a slow relaxing evening, chatting over gorgeous food and a fantastic bottle of wine. Tapas and sushi both make excellent girls nights out, as there is a relaxed, sharing atmosphere. Sometimes, perhaps because you’ve got kids, it’s hard to get out. So, why not have a night in instead? Wait until the kids are in bed, and then get some of your friends around. Either cook a meal together or order a takeout. Then spend the evening chatting, laughing, eating, listening to music, or binging on your favorite shows. For a really great night, turn it into a slumber party. Either get some supplies in to pamper yourselves at home, with facemasks, manicures and pedicures, or have a day at the spa. Days like this are a brilliant way to de-stress and reenergize away from the pressures of everyday life. The main part of a girl’s night out, is the girls. Catching up with your friends and having fun together, is a great way to relieve stress and improve your mood. Try to make it a regular event if you can.